Capcom Is Opening a Store. A Real, Retail Store. Earlier this year, Capcom opened an official Capcom bar, where people can get hammered. And this spring, it's opening an official Capcom shop, where people can buy stuff. Other Japanese game companies have official shops in Japan—Konami, for example, has a Konami store in Roppongi Hills. 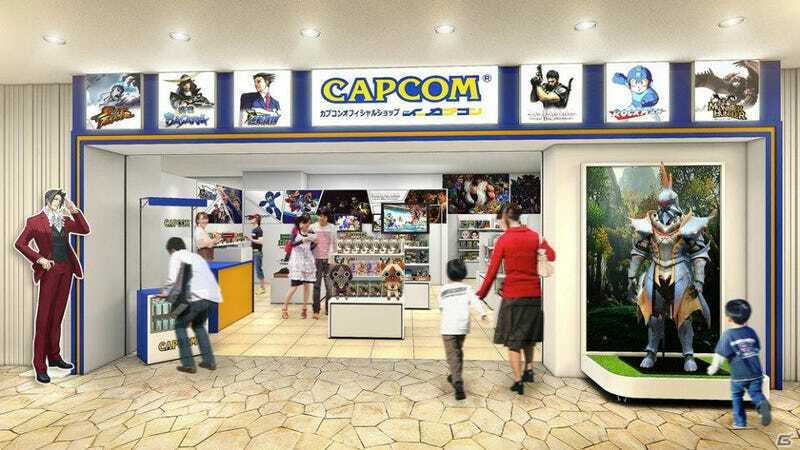 The Capcom store, which is called Capcom Official Shop e-Capcom Odaiba Branch, opens on April 4. It will carry goods, including limited edition items, which Capcom offers through its e-Capcom online shop.